Send me up to three images of your most memorable paintings from 2015 for possible inclusion in my year-end blog: Memorable Paintings from 2015. Paintings in all media -- including oil, acrylic, watercolor and gouache -- will be considered. All types of painting, including abstract, representational, etc., are welcomed. Painters from anywhere in the world may enter. Paintings will be chosen by John Seed, based solely on his judgment and personal opinions. Your entries must have been completed during the 2015 calendar year. Only three paintings may be entered per artist. If you have already submitted work to Didi Menendez of PoetsArtists, please don't also submit to John Seed: Your work is already being considered. The blog featuring the chosen works will be posted on or before Monday, December 21st, 2015. No prizes or complimentary copies of any kind will be awarded: being included in the blog and in the publication is the only "prize" available. Artists whose work is accepted for the publication will be notified before we go to print. 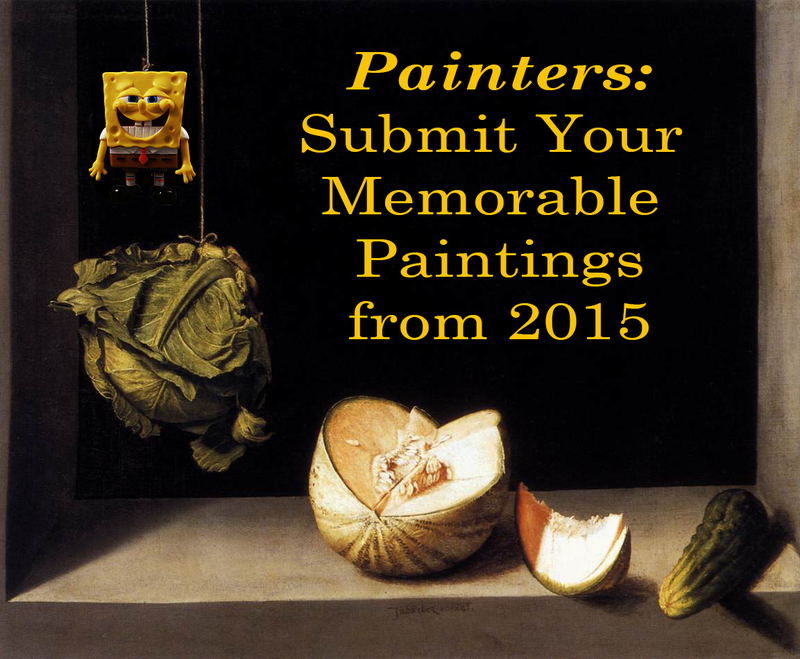 The subject line of the email should read: "Memorable Paintings 2015 entry." Images may be no larger than 1000 pixels in either height or width. Please don't expect an email reply as I will be looking over many hundreds of entries. Include a few sentences about yourself and/or the painting you are submitting. I'm looking forward to seeing your work! Please share this blog via Facebook, Twitter, and other social media.